I can answer this question apparently very simply: yes and no. Sounds complicated? It is. Since the Jones Act of 1917, United States law dictates that all Puerto Ricans born on the island are American citizens. But after ninety three years, many people in the United States still don’t know this historical fact: that all Puerto Ricans born in Puerto Rico are as American (U.S. citizens) as they are. Let me tell you a story. 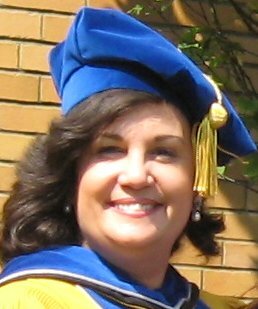 I lived in Colorado for five years while I was doing my doctorate studies. One day, in a cafeteria an older couple heard my husband and me speaking as we usually do, me in Spanish, him in Portuguese, and asked us where we were from. I answered we were from Puerto Rico and Brazil, respectively, and without batting an eye the man stated very proudly how glad he was that his country gave us asylum and that he hoped we were very happy in the United States. With a smile on my face I of course said yes, thank you (this happened before 9/11). And I know this is not an isolated case. Like this man, most Americans do not know that I am an American citizen by the laws of his own country, and mind you, I was born in New York City. The political status of Puerto Rico is a big issue among Puerto Ricans, and nobody else seems to worry as much as we do about it. Puerto Rico is too far away, they speak Spanish and they are poor, is the consensus in this country. Meanwhile, in Latin America, Puerto Rico is perceived ambiguously. They think they speak a strange language that mixes Spanish with English, have a lot of money, and are too Americanized. 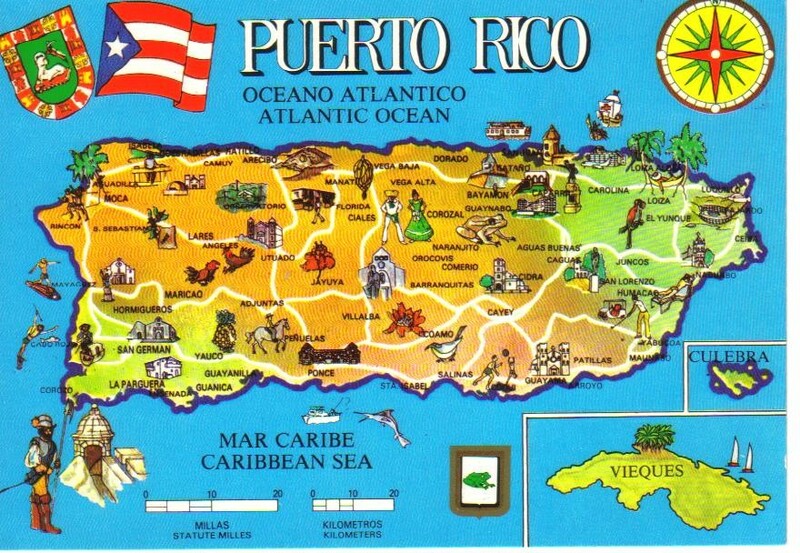 Ironically, on the island of Puerto Rico Puerto Ricans believe that Puerto Ricans who were born or grew up on the mainland (the States) are too far away, poor, speak a strange language mixing Spanish with English, and are too Americanized. The truth, as in most cases, is somewhere in the middle. Puerto Ricans on the island have a distinctive Hispanic culture; their “Americanization” seems to be very similar to the cultural Americanization that exists globally. There are rich and poor, just like everywhere else, have their own dialect as is the case in each Spanish-speaking country, with probably no more English expressions than in any other. Puerto Rican – Americans share similarities but also differences with their island counterparts, mainly in terms of language; but in terms of identification and love with Hispanic culture, they are still firm and strong. The reality is that Puerto Ricans on the island, although they are American citizens, don’t get to vote for the president of the United States and have local elections for their own congress and follow their own constitution; they use the U.S. dollar as currency but don’t have the right to establish economic trade agreements with any other country; they learn English since kindergarten but speak Spanish in every other class at school, as well as everywhere else; they have their own judicial system but can appeal to the Federal court; and, finally, they can display their own flag in the Olympics, although they are not a sovereign nation. So, in sum, in a country, Puerto Rico, that is not a nation-state, there is a people that are legally Americans (U.S. citizens) but who culturally are Hispanic, namely Puerto Rican. « Where in the World Do They Speak… Arabic? In Lebanon! Sorry to contradict your doctorate opinion, according to the United Nations, Puerto Rico is a nation state, and it is the reason that Puerto Rico can log a complaint against the United States in the United States, whereas, none of the fifty states that make up the United States does not hold that right. In addition to that, Puerto Rico recently rule that the government of Puerto Rico can issue passports. The name of the country clear states what Puerto Rico is and the relationship it holds with the United States: “Un ESTADO LIBREUP asociado con los estados Unido (The common wealth (with the United States) of Puerto Rico. Puerto Ricians, both the Spaniards and welcomed the friendship of The pre-Federal union government because, the Spaniard supposed erroneously that upon gaining its independence from the British monarch, it would join forces with the Spaniards living on the island in gaining the island’s independence from Spanish Empire. The natives on the other hand looked to expel the Spaniard, from day one. Let’s not forget that it was a native island Indian that killed Christopher Columbus brother, when Christopher, left his brother with a contingent while he travelled back to Europe. Europeans have never become quite comfortable on the Island, because of this truth, and it can still be seen on the island, with most of the wealthier homes fortified with security gates, and what have you. Finally, the mannerism that pre-federal government military arm and its counter parts on the island communicated (warning of Europeans ships heading to the Americas) was through pigeon messaging. This is why, still today, and in the United States, homing birds is such a relevant sport. You can take this history to the bank. What I want to know is which Puerto Rican in their right mind would want Puerto Rico to become a state, seeing that the Puerto Ricans have been merged, in common wealth, and integrated in the northern continent, for nearly one hundred years, minus a couple of years, and still the Puerto Ricans are considered “Mexicans” by many and treated as underlings. Thanks for your insightful article Michele. I whole-heartedly agree with your legally-cultural summation at the end. Puerto Rico will become the 51st state, which I strongly support, or completely independent.Anyone advocating for the status quo or “enhanced commonwealth” is promoting false pride.Stop being cowards and choose one or the other.God bless america. Well, i am more for stronger autonomy (basically, an actual freely associated state), statehood would make us even more americanized and it would be risky for any local business here trying to strive the moment the mega corporation start settling business. Not to mention, being seen as “Island Mexico”, Americans not knowing Spanish, english becoming the primary language in school, the whole island becoming a tourist trap, and forever not seen as part of the US and seen as foreign (Look at hawaii and how the natives aren’t really seen as american), there will still be Americans who don’t realize it’s part of the US and there will still be Americans who hate us. I don’t have anything against the US (in fact, i am very americanized), but being permanently part of a nation with an entirely different culture somewhat foreign and with people who don’t care about us (and in some cases, hate us) doesn’t sit well with me. If a Puerto Rican loves the American culture that much, then they can easily move to the US, there’s no harm in it, meanwhile, we can maintain our identity without having it completely destroyed by having it just be another US state, while we’re at it, maybe even get more autonomy so we can get more relations with other countries around the world while still keeping close ties with the US (which is important to keep due to the amount of puerto ricans living in the US), that’s only my opinion though, i don’t really have anything against statehood anymore, but with all due respect, i would say the false pride comment fits more with the statehood option than even commonwealth, since it’s basically deciding to lose your whole identity to become part of a nation with entirely different culture while still claiming to have some “love” and “pride” for your nation (while making it become just another US state), I don’t really see what’s so patriotic about that unless you see yourself more as an American than Puerto Rican with little to no pride in Puerto Rico..
Do the citizens of Puerto Rico pay taxes to the United States? I know from the DMV standpoint in NV – Puerto Ricans are treated like USA citizens…Their birth certificates are just as good as a USA citizens birth certificate and they have SS cards…so, yes, they are USA citizens. And, NV is one of the states that will not ever give a license to an illegal. At least Puerto Ricans are here legally and know it. Now I just wish they would not party until 2:00am and act like they own the neighborhood they live in – in Kissimmee and Orlando. Well, that seems to be more of a Nuyorican thing, people party here, but not until 2:00am and Puerto Ricans generally don’t party THAT much lately (though, i do live in a small neighborhood, so it may not be that accurate elsewhere). As someone who generally hates parties, you have my sympathy. I was born in Puerto Rico. My mom is from Humacao, PR. I was raised in California. My pops is from San Jose CA. I grew up traveling back and forth from CA to PR. I have never had any problem. If someone ever spoke without being educated I took one minute to educate them on who we are and then let it go.It does no one any good to sit here and go back and forth. Growing up in Ca. my teachers and other adults faces would light up when they found out I was half Puerto Rican. When I go to Puerto Rico often times Puerto Ricans approach me to ask where I am from. I tell them I was born in San Juan and raised in San Jose CA . I never had any negative feedback from either side. It’s all in how one looks at themselves. I am proud of who I am. I love Puerto Rico and I love California. Puerto Rico has the best of both Worlds… no need to change the relationship with USA… WEPA….. I love Puerto Rico but, am very concerned with the lack of law enforcement in the area of drugs. Corruption has caused the drugs to become ingrained in our wonderfully bueatiful island. A few years ago about over 180 police offices were arrested because they were involved in aiding, directly the drug cartel of Puerto Rico. There is no way drugs came be imported without the help of many, including law enforcement. I was born in Puerto Rico. When I was nine months old, my family moved to the United States. I was raised there, but was fortunate to have parents that preserved the “Spanish” language. So I knew basic Spanish. For many years I took Spanish in high school and college, and was shocked when the Spanish I used was nothing like the Spanish I was to lean. It was difficult. Puerto Ricans mix the languages because when new things are invented, the Spanish language must be updated constantly. Example, elevator. Elevador or Wifi. Alumbrica. Too many to mention. If Puerto Rican’s don’t speak proper Spanish it is the fault of the leaders of Puerto Rico. Who have been corrupted to the core. The have failed the children of this island because the education system does not teach properly. It will continue until someone has the fortitude to rid our island of the idiotic passion on politics. Politics were suppose to help not become a source of constant conflict. Today in this island it’s hurting us. No forward movement. I have read many articles on how Puerto Rico was formed. We speak Spanish because Puerto Rico was invaded by Spanards and others. We speak Spanish because of the Spanards. My mother was from the Taino Nation. The Taino’s faced extermination by the Spanards. They Murdered, raped and robbed the Tainos. Also the diseases that the Spanish brought to my island killed thousands, since we had no immunity. As a result, the Spanards started bringing Africans slaves to the island. We are all are part African. We as Puerto Rican’s must own up to that. We cannot forget our past. As far as the independence of Puerto Rico we are not. The island is owned by the United States. This issue was taken to the United Nations were they concluded that Puerto Rico was illegally a possession of the United States! The president of the US, has the power to send in troops and take over the entire island anytime! Under President Obama US congressmen urged the president to take over the island because mass mismanagement and pending bankrupsy. Puerto Rico is not atomomus and it under total control of US. All the comments made were well intended but we (Puerto Ricans) need a comprehensive discussion and research of what Puerto Rico is and is not. Careful as to what we say without foundation is dangerous to spread false information.